Golf is returning to the Olympic stage in 2016, the first time since the third Olympics in 1904. And yet, some big names in the game are declining their invitations: 3-time majors winner Vijay Singh of Fiji, World # 7 Adam Scott of Australia, and World #12 Louis Oosthuizen of South Africa. In other words, ensuring they are in top condition for the tournaments that count are key to many of the top pro golfers. Professional ice hockey players, perhaps many of them, may be having an opposite reaction. Ice hockey has been an Olympic sport since 1920, and countries like the United States, the Soviet Union and former members of that nation, and Canada have had epic battles in the Olympic Games over the decades. Professional ice hockey players, particularly those from the National Hockey League, were allowed to represent their national teams at the Olympics, starting from the Nagano Winter Games in 1998. But because the NHL and the owners of the team were worried about disruption to the NHL schedule as well as injuries, it was decided that the International Olympic Committee and the International Ice Hockey Federation (IIHF) would foot the bill for transportation and insurance costs. For the Sochi Games in 2014, that was a combined USD$32 million! 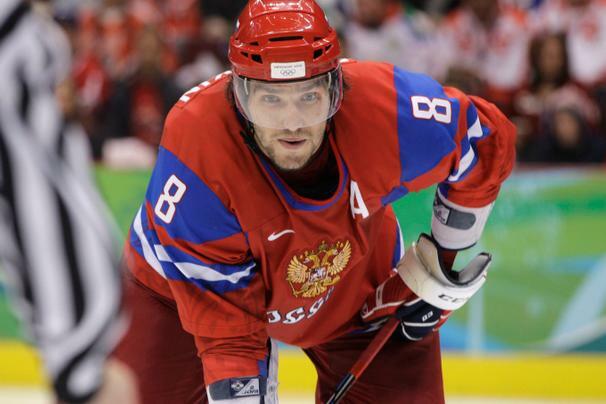 Immediately after this announcement, one of the NHL’s biggest stars, Alex Ovechkin, announced that he would join his Russian National Team for the PyeongChang Olympics regardless of the NHL’s decision. It’s likely that many of his colleagues in the NHL will have similar feelings. History: ice hockey and the Olympics have a long and emotional history. The Olympics are considered the pinnacle of achievement for many ice hockey players, even beyond the NHL Stanley Cup championship. Golf has practically no history in the Olympics. Rigors/Value of the Schedule: The Olympics happen at the time in the NHL schedule where teams are jockeying for playoff spots. But since the NHL controls the schedule, they can suspend the schedule for all teams, which makes it an even playing field for all teams. In the professional golf tour, as has been true with the professional tennis tour, those individuals who participate in the Olympics may lose out on opportunities to play in tournaments that will be more lucrative and perhaps perceived to be more important. When tennis returned to the Olympics in 1984, many of the best players did not compete. Posted in Others, Rio Olympics, Winter Sports and tagged Adam Scott, golf, ice hockey, IIHF, IOC, Louis Oosthuizen, PGA Tour, PyeongChang Olympics, rio olympics, Ryder Cup, Stanley Cup, Vijay Singh, Zika Virus. Bookmark the permalink.